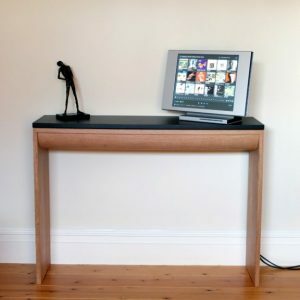 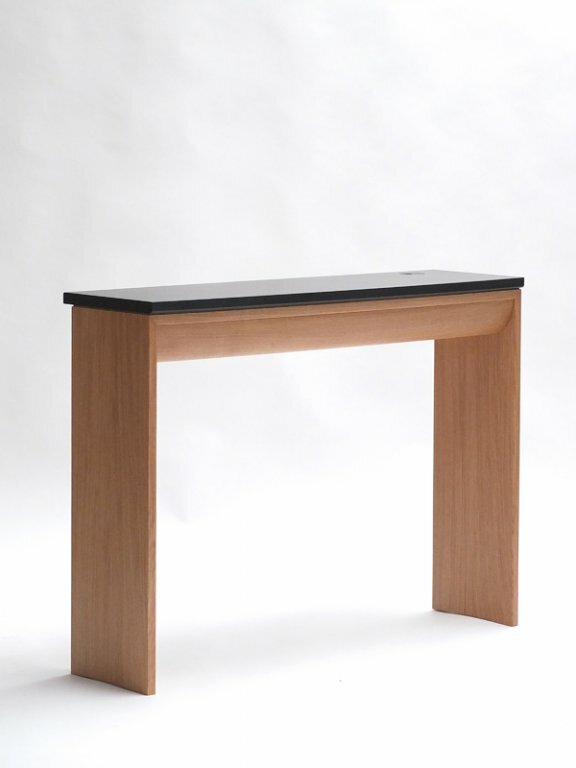 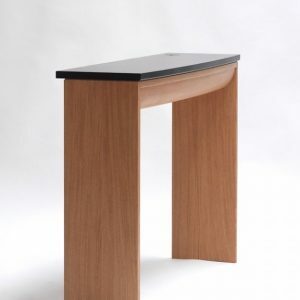 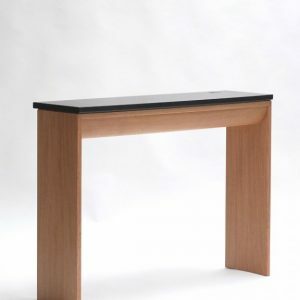 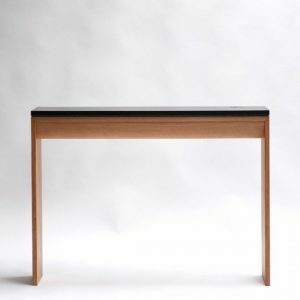 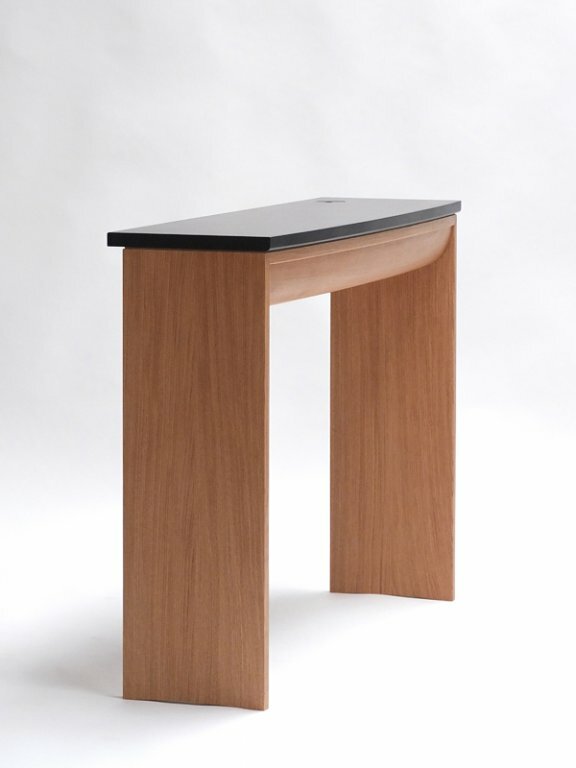 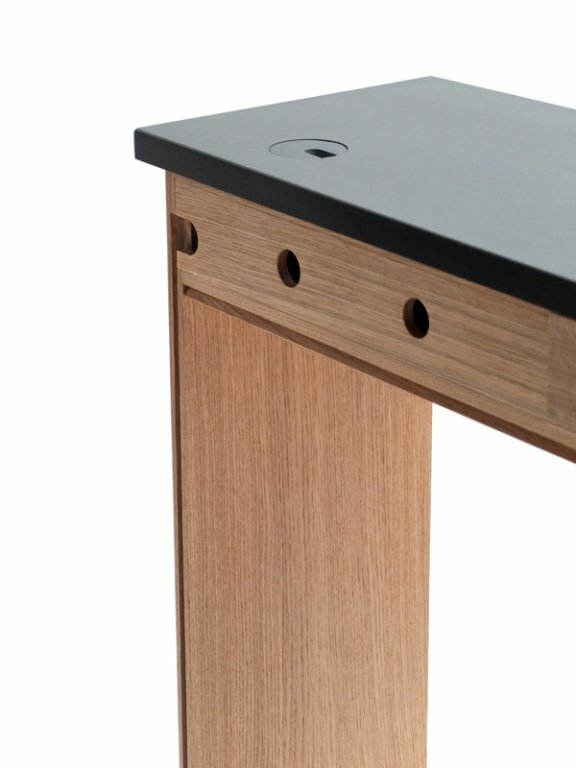 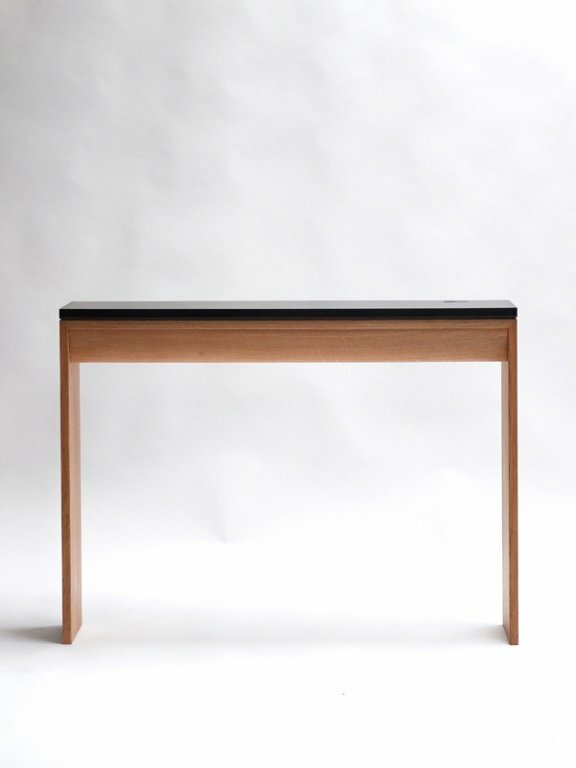 Description: This contemporary slate and oak console was designed as a home for my client’s music system. 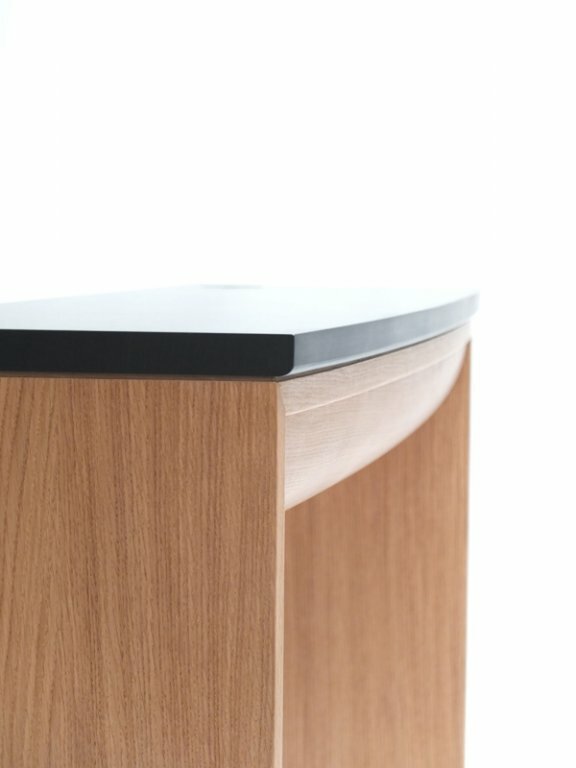 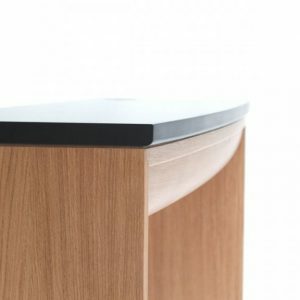 The Hi-Fi interface is a 21″ touch screen which sits on top of the solid Cumbrian slate top. 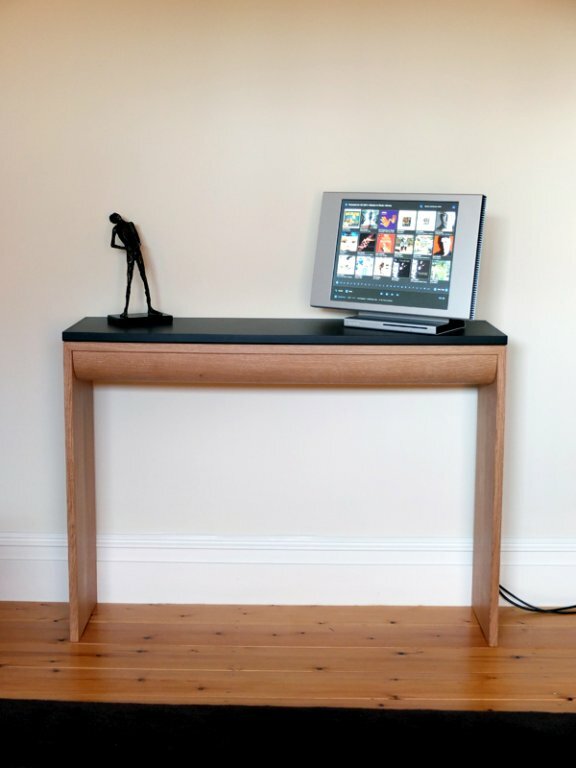 The main challenge was hiding away the cables and the screen’s power pack to keep the console looking uncluttered. 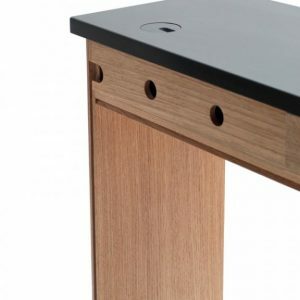 The underside is attached with rare earth magnets allowing easy access to the wiring; the power and control cables run out of the back and down a channel in the leg. 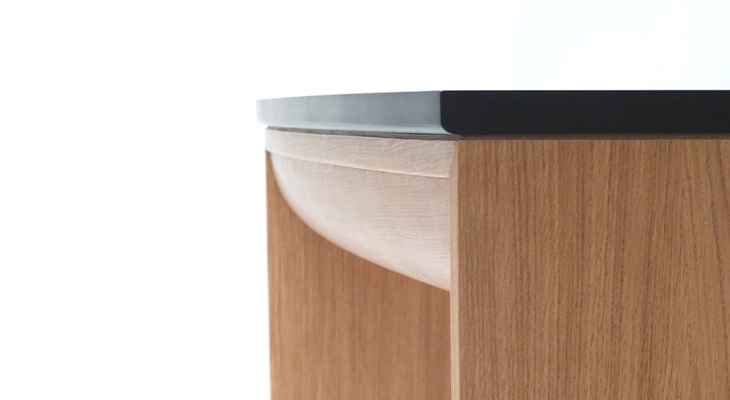 I am really pleased with this piece and in particular the curved component which required a bit of head scratching, scary spindle moulding and then some careful hand work.